Apple, pomegranate, and brie baked in a pastry crust… are you drooling yet? The Forest Feast focuses on easy recipes that produce pretty spectacular dishes without too much fuss. We made the galette for brunch last weekend and forks obliterated it while still cooling on a baking sheet #success. Preheat oven to 350 degrees. Roll out pie crust and spread brie out evenly fanning out from the center. In a small bowl mix brown sugar, cinnamon, and almonds. Sprinkle the mixture over the brie. Next thinly slice 2 apples and place in a circular pattern on top of the cheese. Drizzle with honey and bake for 25-30 minutes. Top with pomegranate seeds and extra honey! Grab a fork, this one is a crowd pleaser. 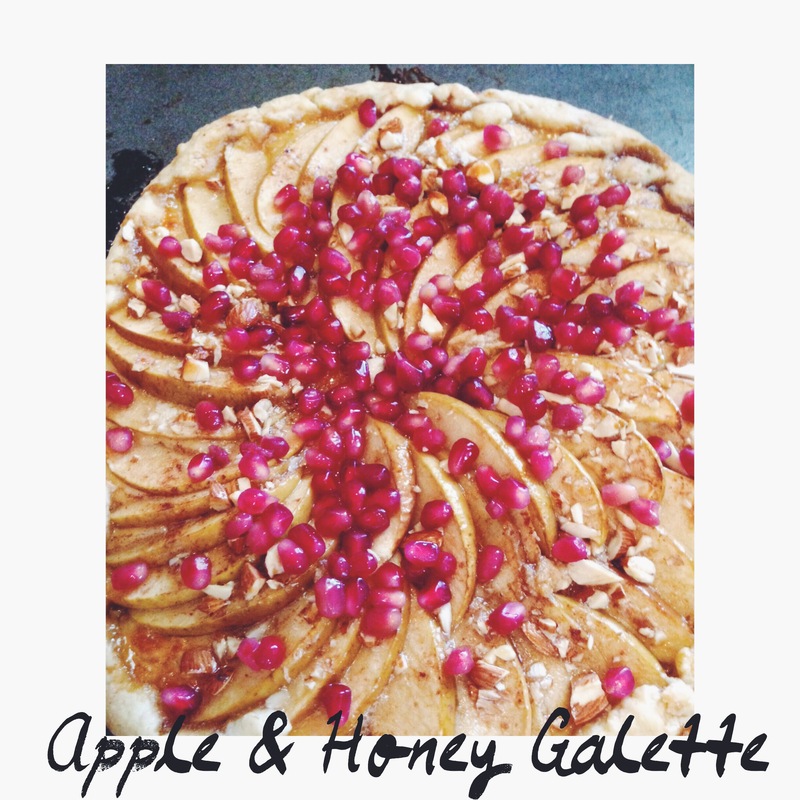 This entry was posted in baking, cooking and tagged apple gallete, The Forest Feast. Bookmark the permalink.